The two gentleman on the porch were dismissed almost before they were acknowledged. Even as the words left my mouth my heart already knew they were harsh and wrong, yet they flew past my tongue and out of my lips before I could bite them back. They say confession is good for the soul; I think it only does a good work in our hearts when accompanied by authentic repentance for what brought you to the need to confess. So swift was the sorrow for my behavior, so convicted was my heart, so repentant that after all this time, all these years all these encounters, all the confessions, this could still be an incident that brought down my Saturday morning to such a low! How easily excuses could be made and accepted by everyone around me. But I knew that no excuse would ever be acceptable to the Only One Who Mattered. I am an Ambassador for Christ and this Saturday morning I brought shame to His Name. How much more impressive this mornings story would be if I could report that two Jehovah's Witnesses rang my doorbell Saturday morning and I greeted them heartily, friendly and shared Gods truth fully and productively. 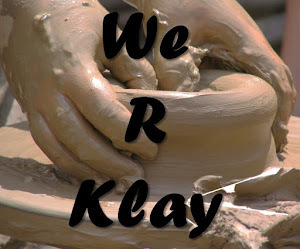 This blog is always about PRACTICAL APPLICATION of Gods Word to our lives. Today I share the practical truth of 1 John 1:8 applied in my life. "If we say we have no sin we deceive ourselves and the truth is not in us." 1. I was bought with a price and my life is not my own. For this reason I do not have the "right" to choose when, where or how I will preach the words of life. I must always be ready, willing and able to give an answer for the hope that is in me in a manner that honors the One I represent. 2. For those who call Jesus our LORD, He is the authority and not we ourselves. It is in our obedience to His commands that we show that He is Lord. Disobeying His command is sin. 3. We absolutely want to respond properly to sin in our own lives so our hearts do not become hard or our consciences seared to truth. 1 John 1:9 "If we confess our sins He is faithful and just to forgive us our sins and to cleanse us from all unrighteousness." The daily walk of a true Believer is not a skip around the park with a permissive parent who expects nothings of us and indulges our every whim. It is a deliberate walk of obedience to the absolute Authority of the Lord Jesus. We stumble, we fall, we snap in frustrated impatience at those who desperately need to hear the truth the most. We confess, we repent and ask forgiveness that we might walk another day and get it right. A godly sorrow is a very good thing that brings us ever closer to the place of true submission to the HEAD which is Christ. It is not quick, it is not easy, but it is our only right response to the sin nature that rears its ugly head to trip us up so easily. We mustn't ever be ashamed that we have sinned but rather let us be thankful that our hearts are not hardened to sin and forgiveness will result in new strength and growth in our daily walk with our Lord. 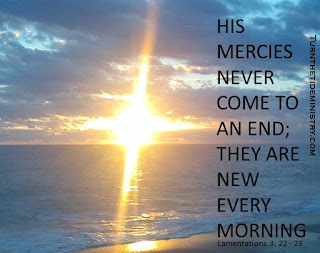 I am surely grateful that His mercies are new every morning! When I was a young and impressionable new Christian just beginning my quest for truth and to know God and His word, I came across this wise statement from a respected minister and Pastor of a large movement in the 60’s who said “you can’t go beyond what you are taught”. Many years of study and research later, I came to the realization that there also is no shame in not knowing what you don’t know. But there is a problem with refusing to consider truth that may be new to you and therefore uncomfortable for you to assimilate into your current knowledge base. Once upon a time everyone believed the world was flat and that if you got in a boat and began to sail in one direction you would eventually fall off the earth. Once upon a time all medical professionals believed that bloodletting was the way to cure diseases. Once upon a time men believed that flying was just for the birds. Once upon a time each individual Christian trusted in the Holy Spirit to lead and guide them. You heard that right. There was no waiting for Sunday morning and a sermon to instruct them. Each believer was able to receive direct instruction from the Holy Spirit. When Jesus instructed His disciples in Acts 8 to wait for the Holy Spirit, which would give them the power to be witnesses to Him, He was indicating that all disciples from then and for all time would be filled with the Spirit in order to carry out the mission; to be witnesses to Him. The mission hasn’t changed and neither has the method of revelation. Main stream churches have been teaching for CENTURIES that the only way to hear truth is through showing up on Sunday mornings to hear preaching. Just because something has been taught for a long time doesn’t make it the truth. It just makes it a misrepresentation that hasn’t been corrected… yet. It’s time we correct this misreading of Paul’s words in Romans 10:14 How then shall they call on him in whom they have not believed? and how shall they believe in him of whom they have not heard? and how shall they hear without a preacher? But Believers do have the indwelling of the Holy Spirit! God expects believers to hear Him and receive wisdom directly from His Spirit. Jesus Himself clearly teaches that it was by revelation from the Holy Spirit that we would learn and grow in Him. Paul taught the same in his letters to the gentile believers. 1 Corinthians 2:10 But God hath revealed them unto us by his Spirit: for the Spirit searches all things, yea, the deep things of God. During my continuing quest for truth, I spent time with a Presbyterian minister who insisted that God doesn’t talk to people. The only Word of God is what is found in the Bible. I’ve read the book of Colossians numerous times. This very morning, God gave me a NEW REVELATION. See if you can spot it, too. Paul would surely not pray for something that wasn’t possible! That they, having no “written word” to study as the New Testament didn’t exist yet and being gentiles, very likely didn’t possess the Jewish scrolls of the Old Testament, would be FILLED WITH THE KNOWLEDGE OF GODS WILL. It can only be that Paul knew they, like himself and all believers, would have knowledge revealed to them by the Holy Spirit. We read exactly that here in Romans 8:14 For as many as are led by the Spirit of God, they are the sons of God. This leading by the Spirit is that which Jesus taught and we read in John 14, that the Spirit would teach us "all things". Not some things, not a few things, but "all" things! So why are so many not hearing direct revelation from the Holy Spirit? Because we are not being taught! The bible clearly teaches that God never changes, but that He is always changing US. If history teaches us anything at all it is that what worked well in the past isn’t necessarily the best way forward. There is no shame in not knowing what you don’t know. But now you know. We will find answers in Gods written word, ABSOLUTELY. But we will hear from Him as long as we make sure we are not too busy to listen! He still speaks, He has always spoken and He will continue to speak. 2Timothy 2:15 Study to show yourself approved unto God a workman who needs not to be ashamed, RIGHTLY DIVIDING THE WORD OF TRUTH. The revealed, written word of God gives us a foundation, instruction and guidelines to keep us from going off in any which direction. 2 Timothy 3:16 All scripture is given by inspiration of God, and is profitable for doctrine, for reproof, for correction, for instruction in righteousness, that the man of God may be perfect, thoroughly furnished unto all good works. The Word of God works hand in hand with revelation when the believer is listening to and being led by the Holy Spirit, Who will give wisdom and knowledge for specific situations. 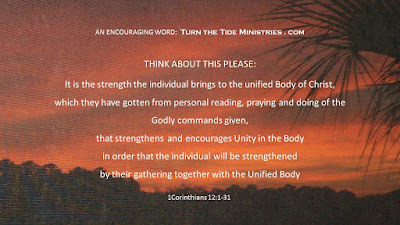 ALL WORKS TOGETHER FOR GOOD TO THOSE WHO LOVE GOD AND ARE CALLED ACCORDING TO HIS PURPOSE!